I’m very pleased to announce a new partnership between ‘The Human, Earth Project’ and GoPhilanthropic, a fantastic US-based organisation involved in raising awareness and funds for charitable organisations around the globe. 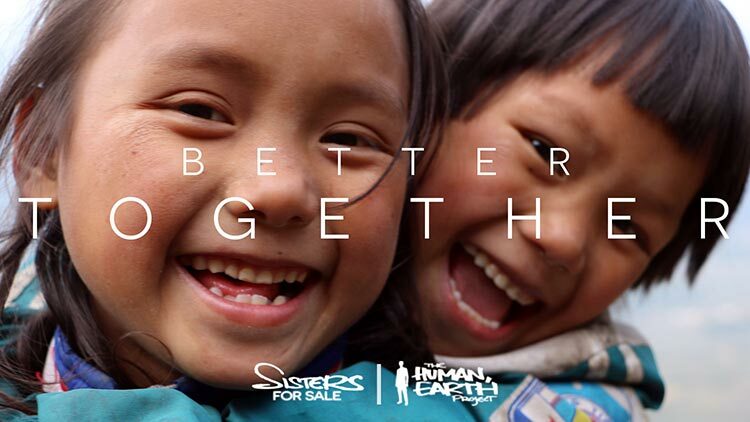 This is the first of several partnerships I plan to formalise over the coming months, as we arrange the details of how our forthcoming feature documentary, ‘Sisters For Sale’, might best be used to support counter-trafficking efforts in Vietnam and around the globe. GoPhilanthropic help build communities of social activists, and connect them a network of organisations making a real impact against some of the biggest issues of our time. They’ll be assisting us in raising and disbursing funds, and our American supporters will soon be able to make tax-deductible contributions to support our work. A part of GoPhilanthropic’s work is taking supporters to affected regions, and giving them the opportunity to meet some of the amazing men and women fighting the human trafficking crisis at ground level. This September, they’ll be in Vietnam and Cambodia, meeting with Blue Dragon Children’s Foundation (whose founder, Michael Brosowski, has played such an important role in our own journey), Ethos, and Pacific Links, amongst others. For International Women’s Day this March, Vietnam’s national TV channel VTV ran a three-minute news piece on our work against human trafficking, and our forthcoming feature documentary, ‘Sisters For Sale’. Thanks to Trịnh Hoàng Đông Nghi, it has now been translated into English, and much of it has been included in our updated media reel (from 2.45 onwards). Thanks, Nghi! The entire documentary has now been translated into Vietnamese – as has the trailer, which you can now see here. Recently we’ve been running a little competition to give away the first-ever print of the ‘Sisters For Sale’ documentary poster. Several people reported having issues accessing our website this weekend, when the competition was due to end, so we’ll give you until this Sunday 10th June to get your entries in. Over the past five years, I’ve referenced dozens of songs and albums in the titles of my blog posts. Take a look at the list, tell me which musicians you can see referenced, and win the first-ever print of the “mother’s love” or “sunset glow” poster (your choice!). The list is here, and you can contact me at thehumanearthproject@gmail.com.